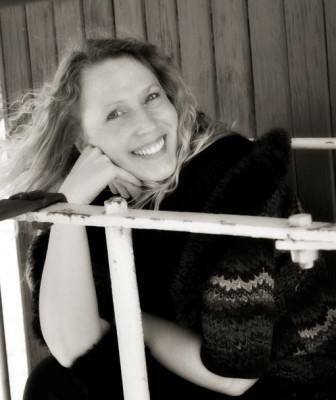 Michelle Sutton is the “edgy” Christian fiction queen for a reason. She delivers a raw and powerful story of marital issues that most dance around or ignore. Her novel, Never Without Hope is a very graphic (without being tacky), yet real view of a married Christian woman who gives in to sexual temptation, what keeps her in this poisonous affair, the consequences, hope, and healing. I think it’s interesting how much wisdom and insight she gives to Hope’s young son. He’s quite the encourager throughout the book. I liked seeing that. I laughed, cringed, cheered, and got angry often. That’s the sign of a good book to me. I want to feel what they do. Get mad when they do something stupid, and sympathize with them. I even felt sorry for the “other man.” At first, I wanted to smack him but Michelle weaved the story so well, by the end I just wanted him to be happy. In his own marriage of course! I’m looking forward to the next book. Anyone who thinks they’re above sexual temptation, has broken vows and needs healing, or just likes edgy Christian fiction should read this book. If you’ve never read this kind of writing before, give it a try and see how you like it! 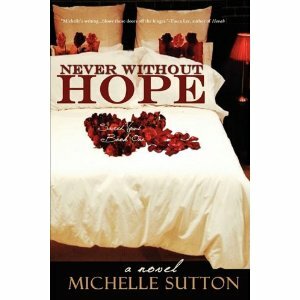 Never Without Hope is available as an ebook and in paperback. Drop back in and tell me what you thought! I think I'll give this one a try! I don't think you'll be disappointed! I'm very curious…sounds really good! I'll have to read this one! Thanks for posting! Ooo, sounds interesting! And what a cover! Thanks for the review! Thanks for the feature. It has been a crazy week at work so I haven't checked my e-mail and it got backed up. As far as the sequel goes, you are really going to enjoy what I've written. It's not done yet, but it will be insightful and emotional, I promise. You're welcome. Glad to do it! I read the first few pages at the end of Never Without Hope and was wishing there was more. I'll be waiting…impatiently!